Freeport reached a two year extension of the collective labor agreement at its Indonesian Grasberg mine after a 3-month strike. The new agreement holds a 40% wage increase over 2 years, improved benefits, and the promise to base wage future negotiations on cost of living and competitor benchmarks. Only days after the announcement of the agreement a helicopter transporting Freeport’s workers was shot at close to the mine, wounding one person. Less than a year after being put up for sale and then declining all offers made Whitehaven teamed up with Aston Resources to create the largest listed coal mining company in Australia with $5.1bln market value. The deal is structured as a shares only acquisition of Aston by Whitehaven. 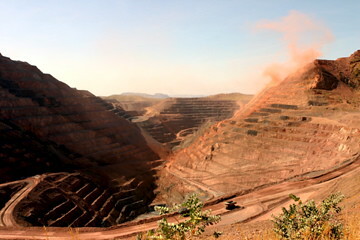 The South African court ruled that the department of mines had no right to grant the mining rights of Sishen iron ore mine in the country to a junior mining company with strong ties to some influential politicians, but that instead the Kumba Iron Ore holds the rights to the mine. Kumba is majority owned by Anglo American. The coal mining industry in Australia is still relatively fragmented, with both the diversified supermajors and many domestic listed and unlisted companies active in the industry. Because the mining districts are much less concentrated than the iron ore or gold districts of the country it is harder to achieve economies of scale that would justify many mergers. The deals taken place are mainly based on transportation and sales negotiation synergies. The Wall Street Journal published a good, readable, article this week describing the developments in the mining industry, signaling the combination of two key drivers this year: declining prices, and increasing costs. The resulting low margins will move the focus of many mining companies in the coming years to cost control. However, the winners of this cycle will be the companies that manage to invest during this period with lower profits to build capacity that will make them benefit from the structural increase in prices that will be caused by the structural price increases in the industry. Clearly not all cost increases are structural: equipment and contractor scarcity is mainly a temporary result of an overheated industry; but cost increases resulting from the move to harder forms of mining will stick.